Outsource payroll services save companies time and money. As an HR manager, you are fully aware of how time-consuming payroll can be. You are also likely aware of how many businesses resort to hiring payroll companies. After all, payroll can often keep you from completing other tasks that are just as important. As a result, your productivity rates decrease and your boss becomes both frustrated and overwhelmed. More so, employees become unsatisfied when payroll is late. To avoid upsetting your employer and their employees, outsource payroll. In this post, you will uncover signs that indicate that you need outsource payroll services. When HR teams are short on staff, they need to outsource payroll. Each HR professional has to take on more duties when there are less people on a team. Therefore, they need to use their time wisely. If you hardly have enough people on your human resources team to complete other crucial HR tasks, you likely do not have enough people to complete payroll. If you can manage to complete it on time, it will be rushed and could include errors. Between sending out W-2 forms, tracking benefit deductions and recording new hires, doing payroll is not a quick and easy assignment. For this reason, short-staffed HR teams need outsource payroll services. Another sign that you need to look for outsource payroll services is that your company is on a budget. Businesses cut down on costs for a variety of reasons. If sales are down, so are profits. When companies scale up too quickly, they often put themselves in poor financial situations. Regardless of the reason the company you work for is budgeting their finances, they can save by outsourcing their payroll services. 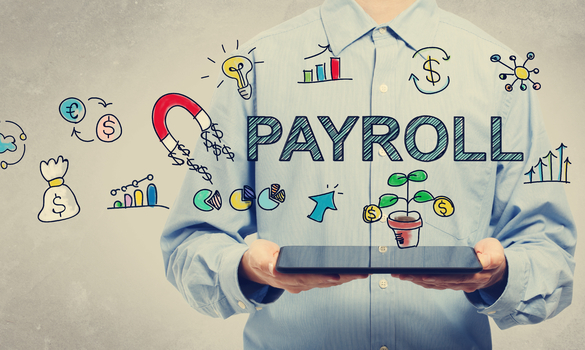 Although there are numerous sources to get payroll funding from, outsourcing payroll services can keep your costs down in the long run. Most businesses overpay on-sight employees to complete payroll. Prevent overpaying and assist your business in improving their financial state by promoting outsource payroll services. If your HR team is constantly trying to keep track of monthly payroll changes, it is a sign that you need outsource payroll services. Many companies undergo sudden increases in turnover rates. Others hire employees who work different amounts of hours each week. Both types of businesses have irregular payrolls on a month-to-month basis. Because of this, the time it takes to complete payroll rises. Ensure that your current HR team does not overload themselves with doing payroll that changes each month. Invest in an outsource payroll service. In addition, businesses that need better security measures can advance with outsource payroll services. Many companies fail to update their software systems regularly. As a result, they put themselves at risk of cyber attacks. Outsource payroll services do not use unreliable or outdated payroll software. Many provide secure data storage through the Cloud. If you fear that your company’s payroll software is not up to par, outsource your payroll services. Then, you can keep sensitive company data and employee information safe. Finally, if you are having trouble complying with government regulations, outsource payroll services are necessary. A lot of HR teams struggle to keep up with government regulations because they change often. More so, they can be difficult to understand. While hiring a legal advisor can be helpful, outsource payroll professionals specialize in payroll regulations in particular. They can assist HR teams in avoiding conflict. When HR professionals fail to comply with government regulations when conducting payroll, they put the business at risk of audits and penalties. Fortunately, outsource payroll service professionals are forced to keep up-to-date on the changing government rules. Therefore, they can assist businesses in completing payroll efficiently and correctly. HR teams that outsource payroll improve their productivity rates significantly. If your team is currently short-staffed, outsource payroll services can be of assistance. Businesses that are in poor financial situations can cut back costs by outsourcing payroll. You no longer have to deal with constant payroll changes each month if you leave it to outsourced professionals. Such professionals also provide optimal security to protect employee information. They guarantee government regulation compliance as well. If you and your HR team can relate to any of the above signs, consider finding quality outsource payroll services.